The new model is being offered with two case material options as 18K whitw or pink gold. 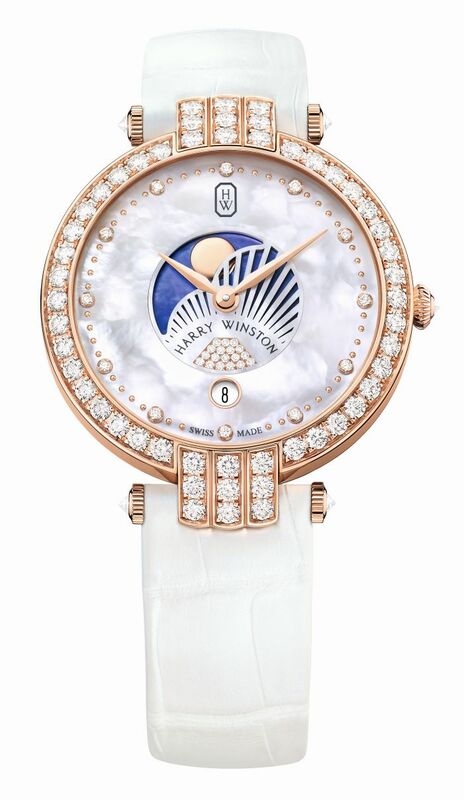 The case measures 36mm x 7.9mm and featutes 57 pieces of ( a total of 2.32 carats ) diamonds. The watch is water resistant to 30 meters. 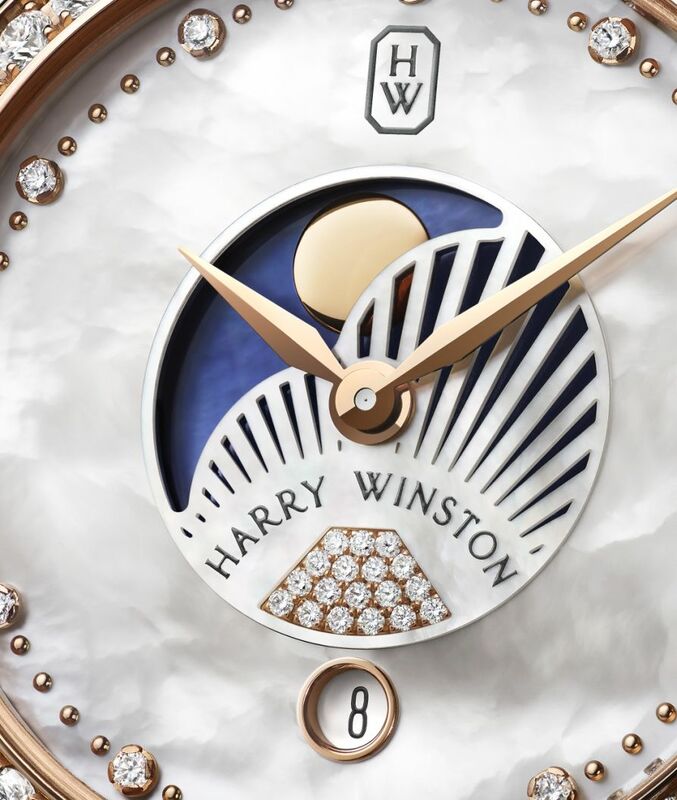 The dial features a combination of natural and blue colored mother of pearl base. 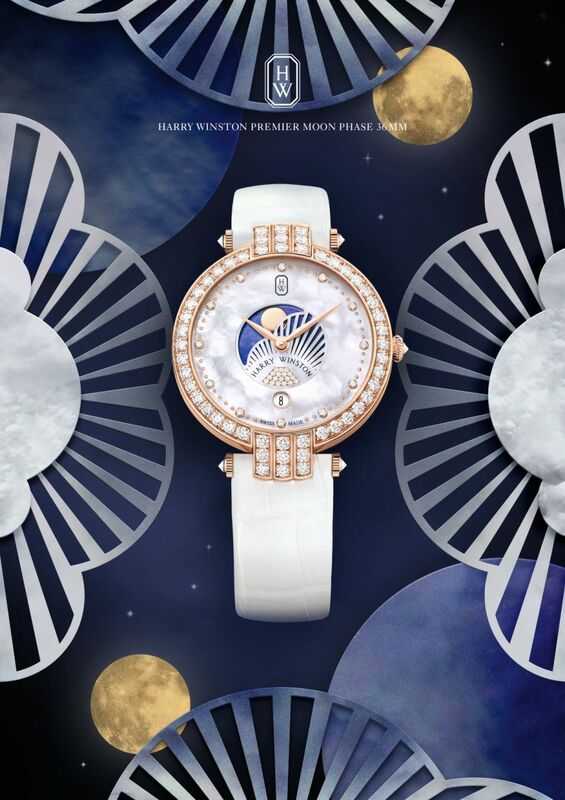 The moon phase indicator located at 6 o’clock position features a blue mother of pearl disk with a solid gold moon figure. The indices sport a total of 0.078 carats of diamonds while the moon phase disk features a total of 0.036 carats of diamonds. The timepiece is powered with the quartz movement HW5201. Swiss movement features hours, minutes, a moon phase indicator and a date display. The model is offered on a white alligator strap accompanied by a 18K white or gold buckle depending on the case option.